The weather in London is getting a little colder, the nights are drawing in, and thoughts on the BBC turn to the Christmas season’s entertainment. Time was we couldn’t wait for the TV Times. But enough of the British sentimentality. And moving on to, British sentimentality. This week, the Bishop of Oxford, Bishop Harries decided it would be in the best spirit of inclusion and welcome to incorporate tracts from the Quran into the next royal coronation ceremony. It is a charming thought. And one not at all meant to curry favour with Britain’s ever growing Muslim community. Yet to be really inclusive, we shouldn’t forget those in Britain who are already well integrated into the British way of life. The Sikhs, the Hindus, the Buddhists and, of course, the Jews. And then there are those more traditional British spiritual faiths that we mustn’t forget like Quakers, Druids and, well, atheists. I think the TV Times Coronation Celebration Special Issue will be featuring a Coronato-thon of a show with hours of tracts from every faith. In a further complication, how does Bishop Harries see this working out for the inclusion aspect? In the synagogues around Britain Jews say prayers of wellbeing for the Royal Family, the British government and the British Armed Forces every Shabbat. This is integration and respect for ones adopted community at its best. In other examples, Hindus and Sikhs have long shown their loyalties at their temples to their environment and the nation where they are free to practice their faith without trepidation or threat. Yet on several occasions the suggestion of putting such patriotic narratives into the mosques has been firmly batted back. This lack of reciprocation suggests that Bishop Harries welcome and inclusion is not a two way street. But back to our fascination with the weather and as it gets decidedly chillier in London, David Cameron took the opportunity to go somewhere even colder. The PM went off to a very frosty Poland. He went to visit Auschwitz. Unquestionably, any man or woman who visits there is compelled to reassess their values and to address their perspectives of humanity. David Cameron didn’t need words to justify his visit. His actions spoke for him. He wanted to reflect and be touched by horror. At a time when we see the heinous cruelty with ISIS, (as Canon Andrew White points out, this is an organisation which is driven without any notion of negotiation towards the destruction of all that disagree or do not meet with their philosophy, nihilists or new age Nazis if you like) maybe the PM wanted to come face to face with the evil so as to understand it better. A chill wind that might blow some good. He promised to assess how the Holocaust is taught here in the UK and ensure it remains prominent and relevant in our educational curriculum. But also, it was apparent he reached out to the Jewish community here in the UK to remind us that he stands by us. Anti Semitism is rife and his actions reaffirm his real determination to address this. It is not some vote grabbing headline or antic; it is the continued reinforcement of David Cameron’s moral belief. If he wanted to grab votes he might simply take the left’s tactic of appealing to the masses and joining the Miliband-wagon of anti Israel rhetoric to ensure he curries favour with the pro Palestinian lobby. It is a sentiment not lost on the Jewish voting public which is pulling away from its Labour roots in droves. Finally, the ever erudite Daniel Finklestein got a rather cold reception in some quarters for daring to go all “Jewish humour” on us in The Times. A pity that some couldn’t enjoy some good ol’ fashion Yiddisher self deprecation. Fantastic and very old school. 2 Jews, 3 opinions and 4 cars. We’re never short of a lift home. Chickensoup with matzo balls. One way to tell a Jew from a gentile. For all Jews chickensoup is one word. What’s the difference between a Jew and a non Jew. A non Jew pays retail. If there has been a 31st, it might have been “Being a Zionist”. But unfortunately here in the UK, the Z-word is still a little tougher to sell. Even to Jews. This entry was posted in Uncategorized and tagged Anti Semitism, BBC, Holocaust, Israel, Palestine on December 14, 2014 by admin. Some 70 years ago, as the Jewish state of Israel was approaching its birth, many Arabic regimes through the Near and Middle East began wicked campaigns of intimidation and oppression against their own Jewish citizens. Jews from all over the region were systematically brutalised tortured and murdered, their businesses destroyed or stolen, their possessions and homes ramsacked and expropriated. 850,000 refugees in a matter of just a couple of years were left desolate, isolated, hated and abused; refugees and victims. It should be remembered, this brutal ethnic cleansing was taking place just months after the end of the Holocaust in Europe and whilst millions of European Jews were now refugees wandering through a desolate war torn landscape with nowhere else to go. Much less of the Arabic Jewish refugee situation was made than that of the circumstances in Europe. Israel and many of the refugees looked to Europe and thought to themselves “what happened in Europe was far far worse, so let’s just get on with it”. Despite the abominable circumstances, the nascent State of Israel, did what Israel was set up to do. It provided the only safe haven and security that these near 1 million could rely on. Jews relied on Jews. The world’s only Jewish State protected, saved and gave new life and purpose to these refugees. Jews had no UN to fund them, no wealthy oil money to provide for them, no parent global organisation to put care around them. Indeed quite the opposite, a world reeling from World War II had no capacity to help and a country barely borne and already accomodating refugees from Europe was already struggling both financially and psychologically. It is not without irony that in the Near and Middle East today a global organisation with massive resources operates to assist refugees. The United Nations Relief and Works Agency for Palestine Refugees in the Near East was created to support Palestinian refugees in Gaza, The West Bank, Lebanon, Syria, Egypt and Jordan. Whilst these countries and many others in the region disposed of their Jewish citizens, robbed them of their wealth and lives, the UN resolved to set up a refugee status for those other than Jews. Jews had been systematically murdered and made refugees across the region yet those who continued this persecution were provided with funding and resources to sort their Palestinian refugee problem? Stretching the irony yet further, the part of the UNRWA work that has by far the highest visibility is the work in Gaza and the West Bank. In Syria, Jordon, Egypt, Lebanon and elsewhere in the region the majority of the refugees exist that this organisation is aiding, yet the world and the UNRWA make much smaller investment and effort. Instead, the UNRWA’s multi billion budget and extraordinary large organisation make much of the need for Israel to be responsible for the refugee problem. This convenient association between Israel and Palestinian refugees makes for a convenience that suits much of the Arab world. It plays into the hands of anti semites who profess their hate against Jews through the accusation of role reversal in crimes against humanity. And in one final paradox, this huge and high profile vehicle for Palestinian refugee aid (along with the extraordinary global donations from charities and Arabic States equating to small nation incomes) consumes much of the global efforts for refugees. 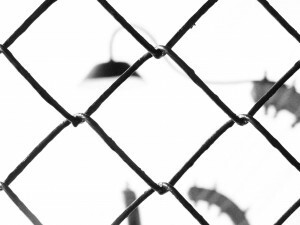 1 in 7 of our planets inhabitants (around 1 billion people) are classified as refugees. Yet the lions share of the support and effort for refugees goes to just 5 million or so people. And one country alone takes the brunt for the issue. That one country being the only country that has successfully resolved this without cost to others, without seeking funds from others and without fuss. It is surely to Israel that the UN should come to address how to resolve the world’s refugee problem. Indeed countries like Somalia and Ethopia already have. And Israel has opened its doors and let those that need help in. 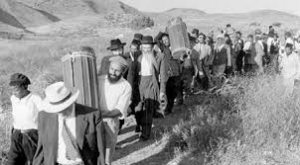 So just to repeat, with no support from the UN and incredibly limited resources, the lives of these 850,000 Jewish refugees were safeguarded as they were given safe haven in Israel. The UN, in 1947 resolved to set the UNRWA to help refugees in the Near and Middle East region. 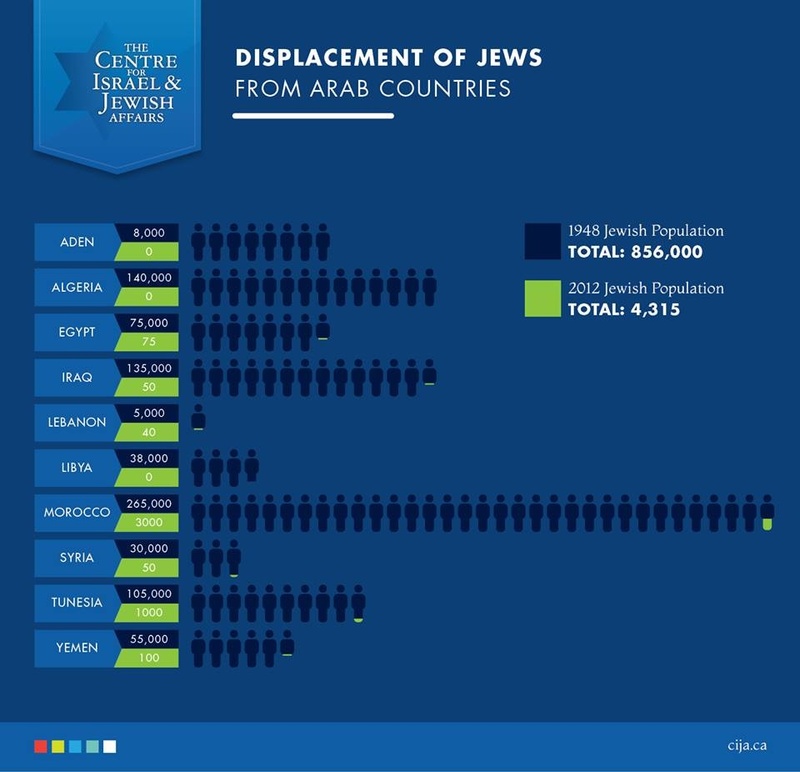 Yet not one cent of this was for Jews or Israel, but only for the region’s displaced Arabs. Billions upon billions and huge global resources continue to be invested in specifically supporting those Palestinian refugees whilst the only refugee problem that was resolved in the region was that of the Jews which ironically the UN’s agency did not address. 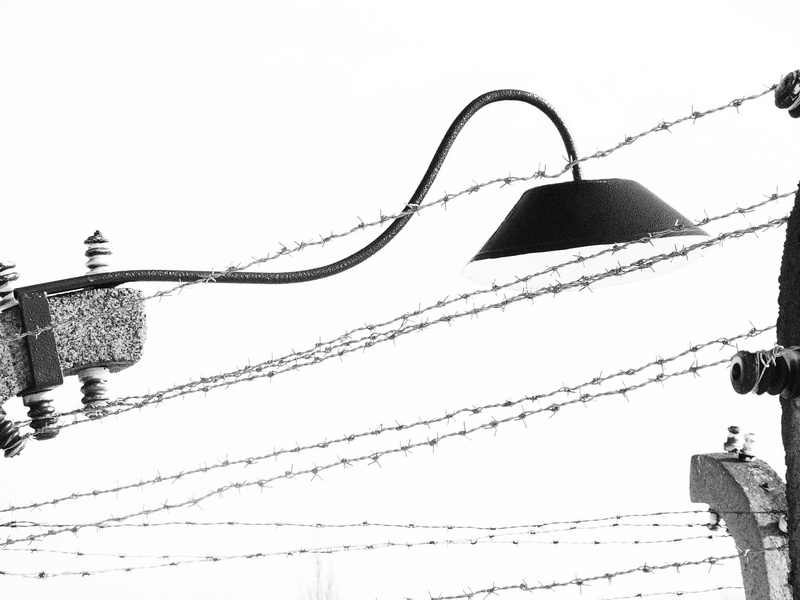 Israel may now seek some reparation for those Jewish refugees. But even that will be used to preserve the history of the Jews in the Middle East and to support the less than 5,000 Jews still in the Arabic diaspara. Retaining and protecting synagogues in places like Syria, Morocco and Tunisia and protecting tiny Jewish communities like the 6 remaining Jews of Bagdad (who are still able to practice due to the leadership, love and care of Canon Andrew White) is a more meaningful way to use reparations rather than the “blood money” provided by Egypt to residents kicked out of their homes on the Gazan borders. 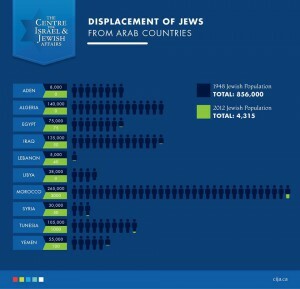 So just who is making the refugee problem for Palestinians a problem…. Maybe the UNRWA, in existence since 1947 has forgotten that its objective should be to resolve the refugee problem not to create and maintain one to justify it’s own existence. Israel, on the 30th November this year, remembered these 850,000 refugees amongst others and continues to help refugees from around the globe. Maybe the UN could learn a thing or two. This entry was posted in Uncategorized and tagged Holocaust, Israel, Jewish, Palestine, Refugee on December 1, 2014 by admin.